A Mike Baillie fan passed along this fascinating discovery last week and I hoisted the paper to Scribd and the Tusk immediately. Mike is on to something mighty interesting. 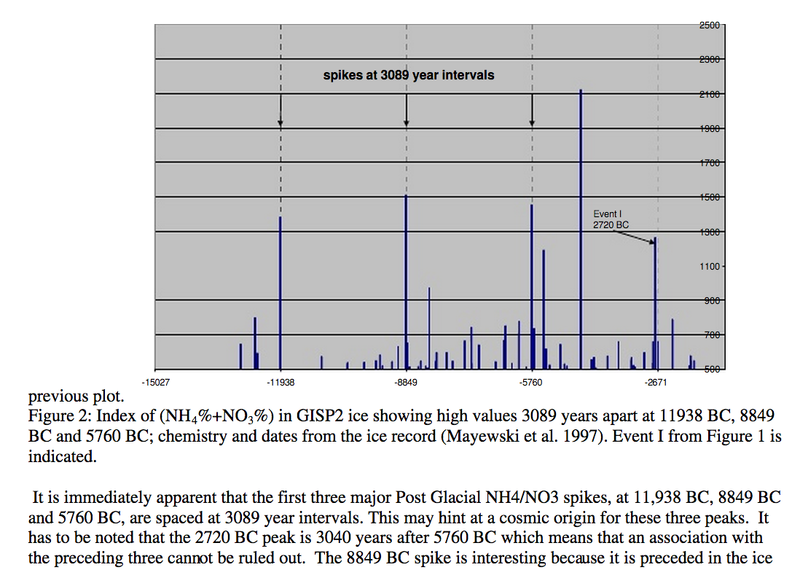 Nowhere has anyone noted the corellation between the two early Mayan “Baktun” transitions and spikes in ice core chemistry from Greenland. 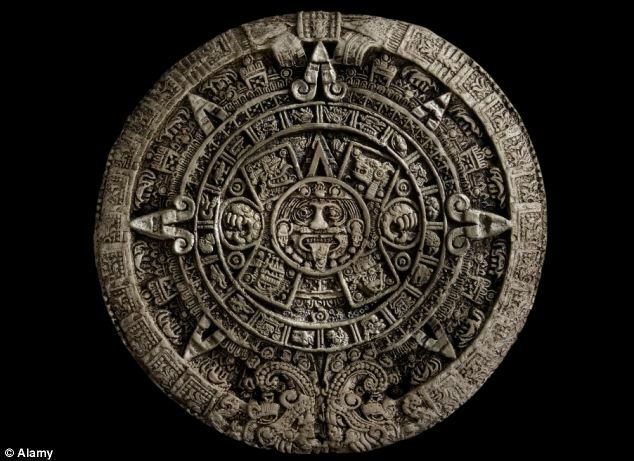 Calendrical genius that he is, Mike even reverse engineers the data and finds the Mayan calendar — baring incredible coincidence — serves to memorialize the two events as well as perpetuate a useful chime for the future. 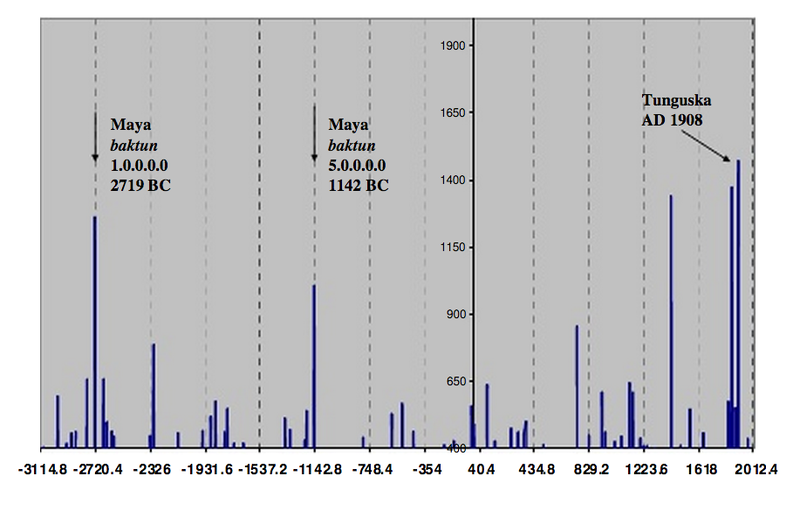 It is hard to grasp given his sparse abstract, but if I understand Mike Baillie correctly he infers that the Maya calendar writer long after the two extraordinary events divided his calendar so that the first event would mark the end of an inaugural cycle representing a number of days which — if repeated four more times — would coincide with the 2nd event. These five cycles were then followed in the calendar by an additional eight cycles of equal periods reaching to our own time. It would be as if you were amazed at the appearance of Santa Claus, began counting the days since you saw him, was startled by his return, and later decided these visits were so significant that your calendar itself should be divided so as to determine good times to look out for the jolly old fellow. He may or may not come — but it is the right time to look.